World Jewish Congress opposes Polish law which would criminalize suggestions that Poland was responsible for Nazis crimes. “Poles are understandably sensitive when Nazi annihilation and concentration camps are referred to as ‘Polish,’ simply due to their location on Polish soil, and they want it to be clear that Germans, not Poles, were responsible for establishing and maintaining these factories of death in which millions of Jews were murdered during the Holocaust,” said WJC CEO Robert Singer, noting that more than 70,000 non-Jewish Poles were also estimated to have perished at Auschwitz alone. “While it is true that Auschwitz-Birkenau, Treblinka, Majdanek, Chełmno, Sobibór and Bełżec should be referred to as ‘Nazi’ or ‘German’ camps in occupied Poland, it is a serious mistake for Poland to seek to criminalize those who do not adhere to this practice,” Singer added. “Having spent decades in the field of education, I deeply believe that this must be changed through a campaign of education, not criminalization. Poland’s new law is especially objectionable as it stifles any real confrontation with the most chilling aspect of the country’s wartime history - the extent to which local Poles were complicit in the destruction of their Jewish neighbors,” he continued. The law, approved by Poland's parliament on Friday, sets fines or a maximum three-year jail term for anyone who refers to Nazi German death camps as being Polish. The measure is intended to apply to both Polish citizens and foreigners. It still needs to pass in the Senate and be signed by the president in order to become law. The bill was met with criticism in Israel, where Prime Minister Binyamin Netanyahu said on Saturday, "The law is baseless; I strongly oppose it. One cannot change history and the Holocaust cannot be denied." On Sunday, Netanyahu spoke with Polish Prime Minister Mateusz Morawiecki and the two agreed to immediately start a dialogue in order to try to reach understandings on the controversial legislation. 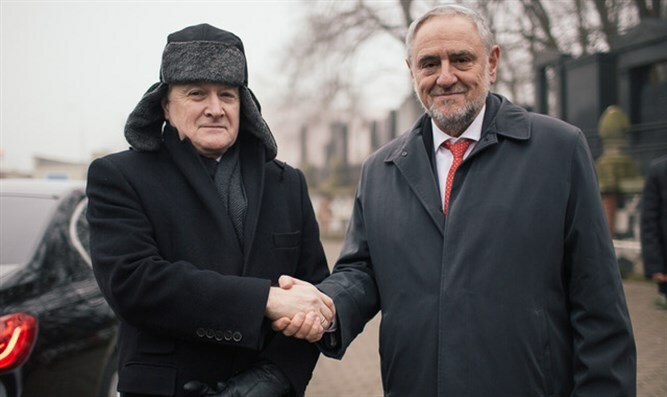 The legislation was also criticized by European Jewish Association (EJA) General Director Rabbi Menachem Margolin, who called upon Polish President Andrzej Duda to exercise his constitutional rights and veto the resolution. "This legislation is a slap in the face - especially coming on international holocaust Memorial Day - not only to the victims and to history but also to those Polish citizens who were deemed Righteous gentiles and saved Jews from Nazi extermination , who stood in stark contrast to those (too many) Polish citizens who cooperated with the Nazis," he said.